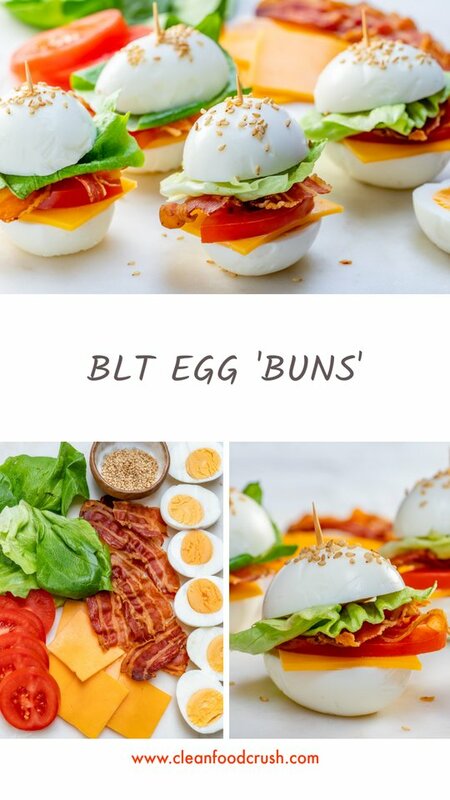 These BLT Egg ‘Buns’ are the Perfect Protein Breakfast or Snack! Heyyyy…..whatcha snacking on right now? Are you indulging, or trying to stick to your goals? No judgment! Just want to inspire you with these cute little thangs! 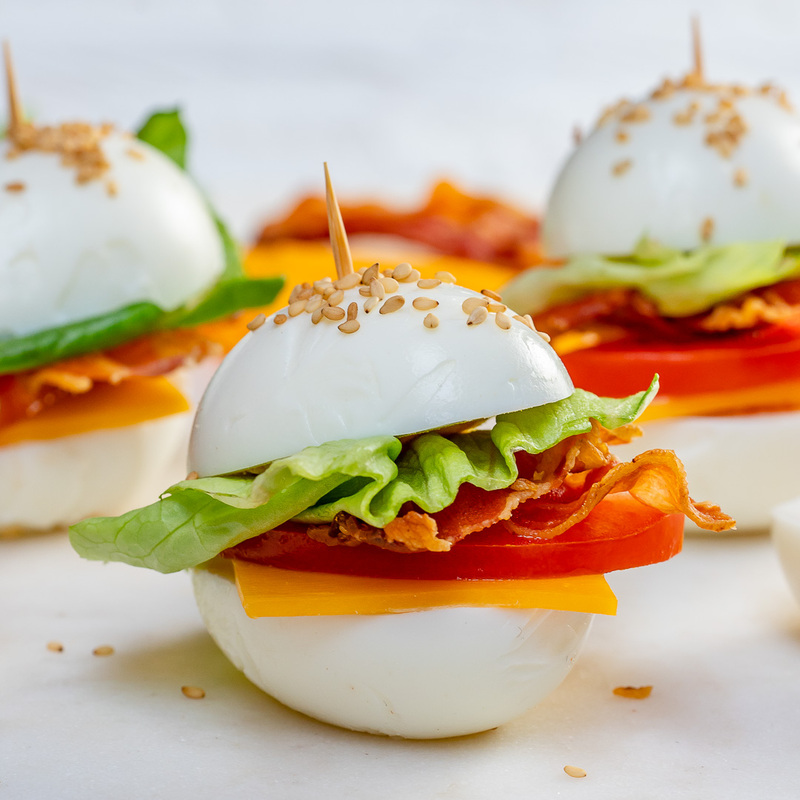 These little “eggwiches” are great for parties because you can make a bunch and set them out on a large platter for your guests ahead of time. 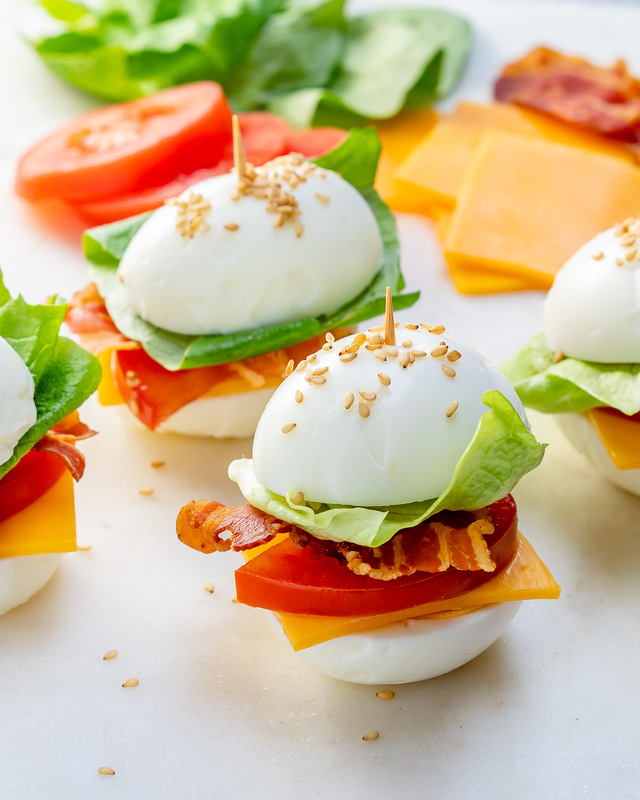 All snacking aside, these are also great for breakfast or maybe even lunch! 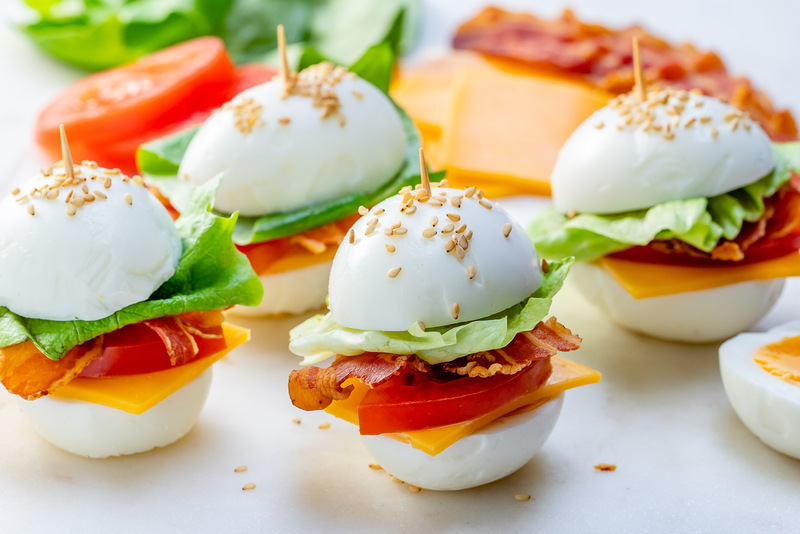 Eggs are a very good source of inexpensive, high-quality protein. They are a valuable ingredient in our CFC Challenges for this very reason! 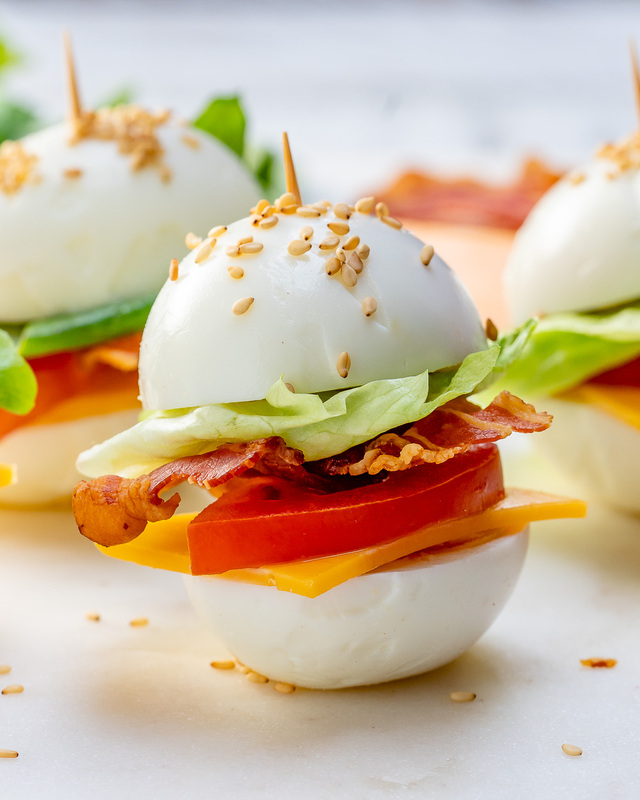 More than half the protein of an egg is found in the egg white. Eggs are rich sources of selenium, vitamin D, B6, B12 and minerals such as zinc, iron, and copper. 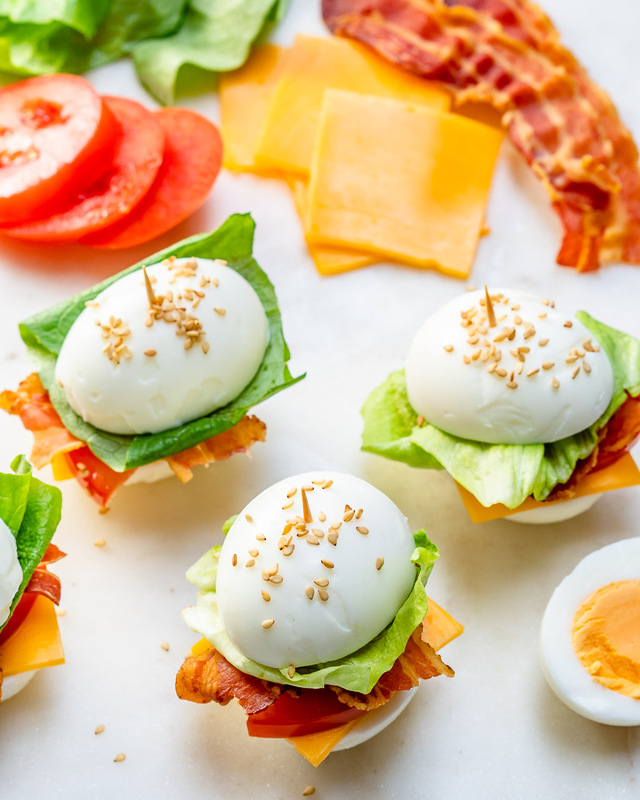 Egg yolks contain more calories and fat than the whites, but the yolks are a part of our everyday life here at CFC because eaten in proper moderation, nothing quite compares to the nutrients = price per serving. 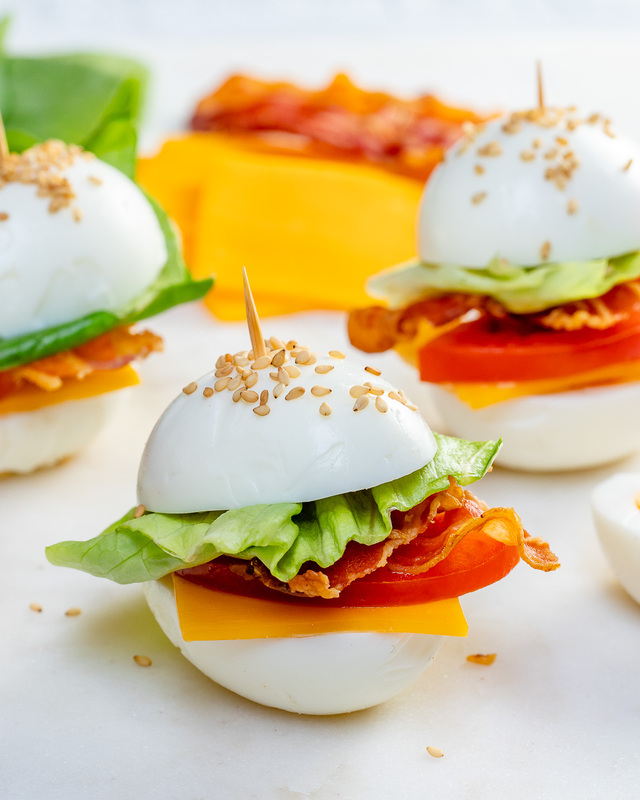 The yolks are a source of fat-soluble vitamins A, D, E and K, and lecithin. Gently peel the eggs and cut them in half on lengthways as shown. 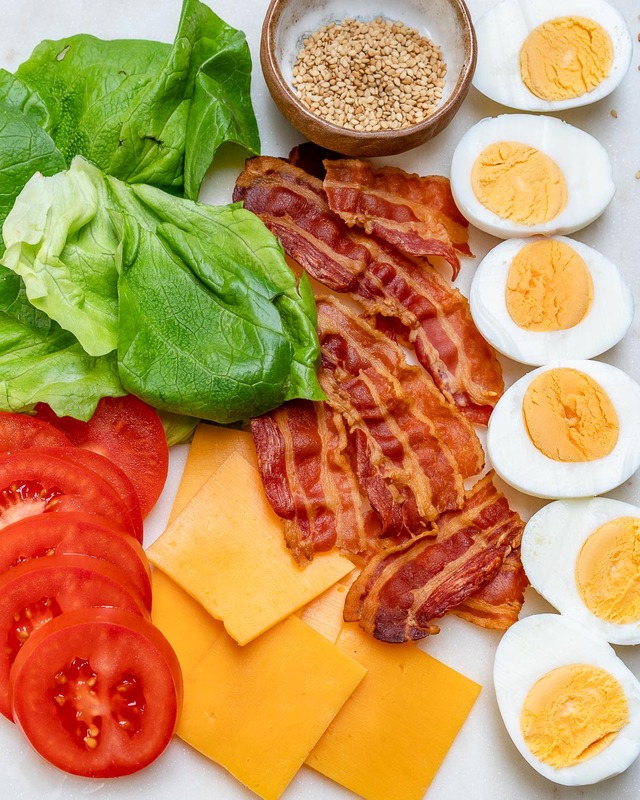 To assemble: start with the bottom egg half and add cheese, tomato, bacon, lettuce. Set in place the top egg half and insert a toothpick to hold it all together. Repeat with remaining eggs. 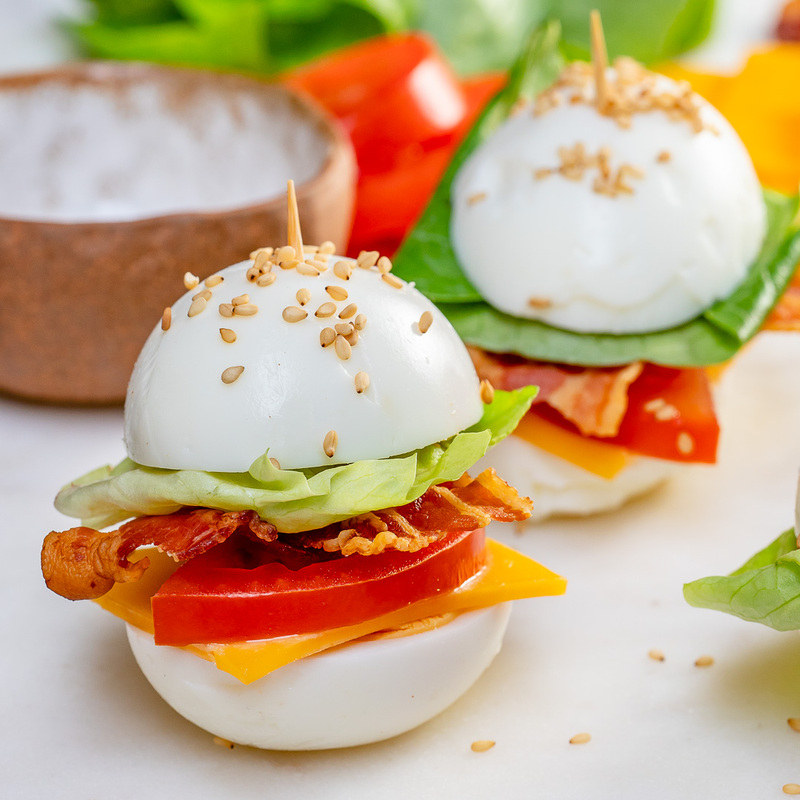 Sprinkle with sesame seeds if desired and enjoy! To dive a little deeper into the egg-ucatin..haha.Education…Eggucation…ok, I’ll stop. I’m asked OFTEN about the different eggs available for purchase at the market, and what is truly best. This is a pretty deep topic and one that actually tugs at my heartstrings. You see, I fully UNDERSTAND family budget and family dynamics more than anyone might imagine. I know that it’s important to be able to put quality food on the table, and we are not all in a season of life to always CHOOSE. 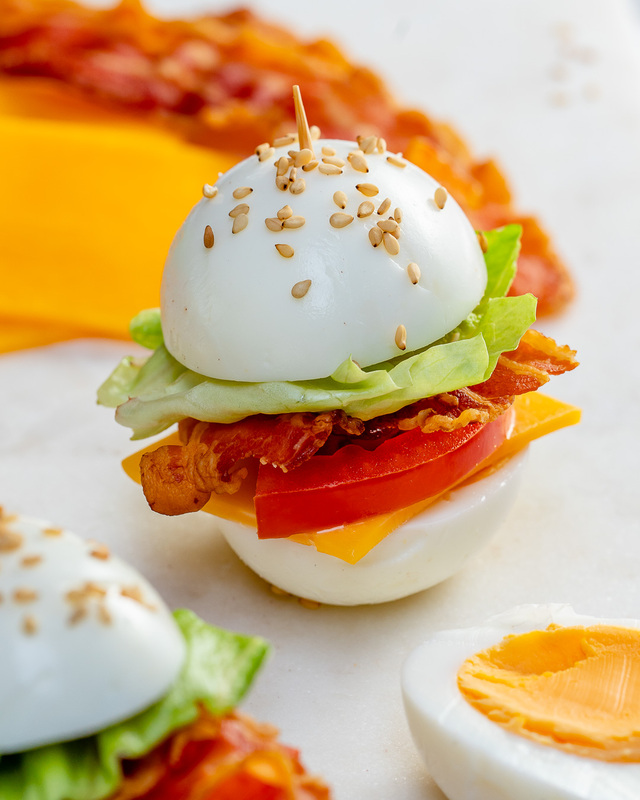 You only have to look at the yolk of a Pasture Raised Egg to SEE the difference. Pasture Raised eggs mean that the chickens are free to roam in open grasslands (you know…where they SHOULD be living…according to mother nature, not scientists), eating an organic/natural diet, enjoying bugs and worms, seeing the daylight, and playing in the beautiful sunshine. This produces a bright, yellow almost orange, rich colored yolk. The taste is also known to be far superior. On average, pasture raised eggs have better nutritional profiles compared to their “regular” not-as-lucky cousins the mass-produced basic, commercial egg, probably raised in small cages stacked right on top of each other, where the bird has clipped wings and clipped beaks, and they typically are kept in dark covered spaces and have no exposure to sunlight or exercise . Rich in antioxidants, lutein, and zeaxanthin. This Mom of 3 Lost 12 Pounds in 30 Days with the Clean Eating Challenge!